All of the ideas that I share on the blog and resources that I share are the actual activities that we use with our students at Play to Learn. We hope that your students find them to be as engaging as ours do! Each month we focus on a thematic unit. 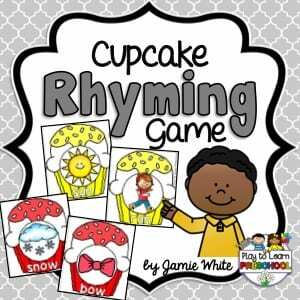 During circle time, we sing songs, play games and have mini-lessons related to the theme. When the students are working at centers, many of the activities also reflect the month’s theme. 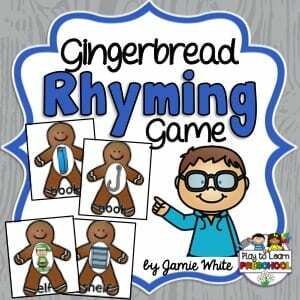 Young children can learn to recognize, spell, and write their names with these resources. Each of these files is editable to save you time! Emergent readers need lots of practice with letter identification, letter sounds, sound sorting, and rhyming. Preschool math concepts include numbers, counting, shapes, sorting, patterns, and more. These are some of our favorite math resources. Use these thematic counting mats at your math center. We love to pair them with small sensory bins or play dough for variety! These editable books and posters are perfect for the beginning of the school year when we work on learning the routines in the classroom. An instant 1G download from TpT with our most popular resources. A link to our Google Drive, where you can access and download all new and future resources. As a thank you for your purchase, we will be happy to send you a USB drive that contains everything. You will have the resources and they won’t take up valuable memory space on your computer! Do you have your year planned out, and just want to pick and choose the thematic units that are right for you. Try a 6-pack or 10-pack custom bundle. As always, please feel free to email Jamie at PTLpreschool at gmail.com with any questions!